Recording clean guitar using light effects such as chorus, reverb are often tricky because of the clean nature of the guitar sound. 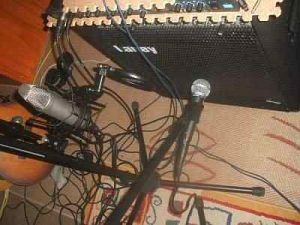 This tutorial will illustrate two popular ways of recording clean guitar: using DI and the other is using a guitar amplifier cabinet method. Both method works and sounds great; it depends on what sound you are going to achieve as well as the availability of gears/equipments. To create a delay/stereo effect, the dynamic microphone is aimed closer to the amplifier cone at around 3 to 5 inches distance while the condenser microphone is aimed farther (around 12 inches). This will capture the ambiance and adds natural reverberation to the guitar sound (from the room where it was recorded). 1.) Switch on your guitar amplifier. 2.) Plug the guitar into the Hi-Z input of your guitar. This will give the best sound for your guitar since the impedance are matched (the guitar pickups are also in high impedance). 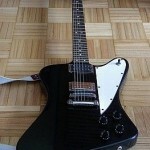 Most guitar amplifiers are designed to provide a high impedance input, so double check with the manual. 3.) Adjust the desired tonal quality of the clean guitar to be recorded (bass, mid and treble). 4.) Add some light effects on the signal chain such as chorus. 5.) Once you have finalized the guitar tone to be recorded, aimed two microphones at the guitar amplifier (see the screenshot previously). 6.) Plug the microphones to your audio interface preamp inputs (you will be plugging two microphone inputs). Do not forget to turn on the phantom power for your condenser microphone. 7.) Launch your recording software. 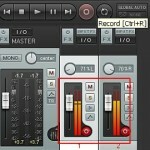 This tutorial is using Reaper Digital audio workstation. Adjust the microphone preamp gain levels of your audio interface to get the best recording signal as possible. 8.) Hit the record button to record your guitar takes. Some hints on mixing: Since you are now recording two guitar tracks at the same time (coming from those two microphones). You can pan one them at right and the other to the left of the stereo field. The mixing result would be great. Since the guitars have been recorded with effects already, you won’t be anymore adding effects during the mix except for minor EQ and compression. Observe that in the above diagram, there are no effects added and the guitar is recorded dry. 2.) You will only be recording one track this time. So in your DAW; for example Reaper, check the recording level and make sure it is optimum (-15dBFS to -6dBFS). 3.) Hit the record button and track the guitar cleanly. 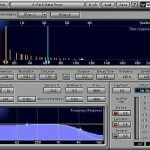 e.) Focusrite bundle plug-ins – this comes free if you buy Focusrite audio interface. This tutorial assumes your classical guitar includes an active pickup for additional DI recording and that you have a fully working DAW (digital home recording studio). Since you will be recording directly using a condenser microphone (without any effects applied on the signal chain); it is important to have a nice sounding guitar before you hit the record button. Spend some time to get the best tuning and sound on your nylon guitars. Practice or rehearse your piece in advance. If your nylon guitar does not sound good in your ears, it won’t sound good also when it’s captured and recorded. This is where using quality sounding guitars are very important. Also it’s important to use quality nylon guitar strings. Personally I am using D’Addario classical guitar string in all of my nylon guitar recordings. Do not immediately record acoustic guitar with brand new strings. In my experience, the best tone can be achieved by continual usage of the guitar for 2 straight weeks after the string installation. Do not forget to recheck the tuning once a day. 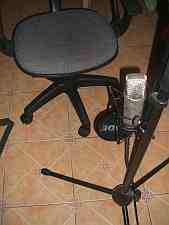 It is important to put the microphone somewhere in the center of your room(away from walls or corners). It would be much better if you have a fairly large size room so that the microphones can naturally capture the reverberations. In this tutorial, a sample classical guitar piece will be recorded in a 10ft x 15ft room with tiles but this is also a usual bedroom with furniture. If you want to know if the classical guitar would sound nice during recording; try to play it live in your room without microphones and check the ambiance and feel. If it sounds good, it would also sounds great during recording.